Oral hygiene tips, the primary goal of oral hygiene is to prevent oral diseases such as dental caries and gum disease by regular removal of food debris and plaque. Also, the long-term success of existing dental restorations depends on a good oral hygiene. In the oral cavity, there are hundreds of different types of bacteria around and on the tongue and teeth. However, not every type of bacteria is harmful. The presence of harmful bacteria depends mainly on dental care habits. In addition to health aspects, most people also appreciate the aesthetic results that appear in bright teeth. In this regard, oral hygiene tips also will help you to prevent tooth discoloration. Good and sufficient oral hygiene takes only a few minutes daily and should be done regularly. 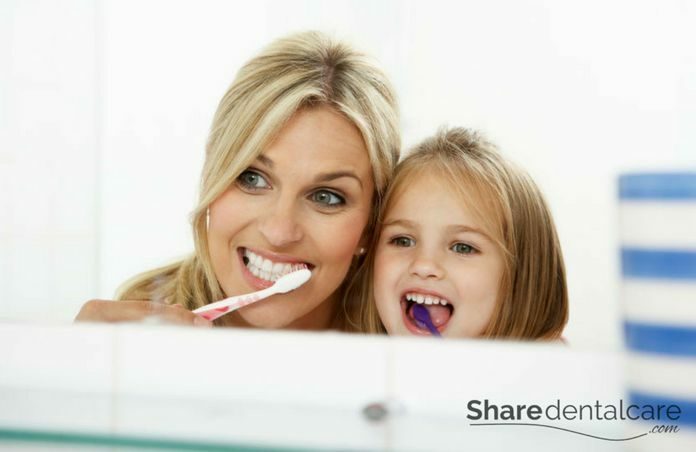 Follow these oral hygiene tips to help you take your care routine to the next level. Brush your teeth regularly: you should brush your teeth 2-3 minutes, twice daily. Also, you should follow the proper brushing technique recommended by the American Dental Association (ADA) to prevent the damage to tooth enamel and gums. Brushing your teeth regularly is one of the most important oral hygiene tips. Choose the appropriate toothbrush: choose a soft bristle toothbrush with a small head to reach all areas in the mouth. Hard bristle toothbrush can cause damage to the tooth enamel and gums. Also, replace your toothbrush every 3-4 months or if the toothbrush bristles frayed. Floss your teeth daily: the food debris may accumulate in the interdental spaces between the teeth. These interdental spaces can’t be reached by a normal toothbrush which may lead to dental caries and gum disease. Floss your teeth gently at least once a day. Medical mouthwash: this mouthwash can help in the prevention of oral diseases such as gingivitis and dental caries. Use a medical mouthwash for short-term in the treatment of gum disease or after oral surgery. Because the medical mouthwash contains chlorhexidine that can cause tooth discoloration with daily long-term use. Cosmetic mouthwash: this type masks the bad breath but doesn’t treat the cause or kill the bacteria responsible for bad breath. The maintaining of good oral hygiene with a mouthwash only is not possible. It should be used in combination with a toothbrush and dental floss. Clean your tongue: This one of the oral hygiene tips that most people forget. Clean your tongue at least twice a day with tongue scraper or brush. The tongue provides an ideal environment for bacterial growth. Most of the bad breath cases are due tongue bacteria. Eat a well-balanced diet: sugary foods and drinks increase the risk of dental caries. Eat raw fruits and vegetables to clean teeth surface and stimulate saliva production. Also, drink enough amount of water daily to prevent dry mouth condition. Visit your dentist regularly: you should visit your dentist at least once every 6 months for examination and professional teeth cleaning. Your dentist will examine your oral cavity and treat existing dental problems. Also, he/she will give you some oral hygiene tips and demonstrate the proper tooth brushing technique. Oral hygiene in children starts with the eruption of first tooth (about six months). Clean the baby’s mouth with wet gauze. Later, soft bristle toothbrush can be used to clean teeth and gums. It’s the responsibility of parents and pediatric dentist to motivate and support oral hygiene habits in children.